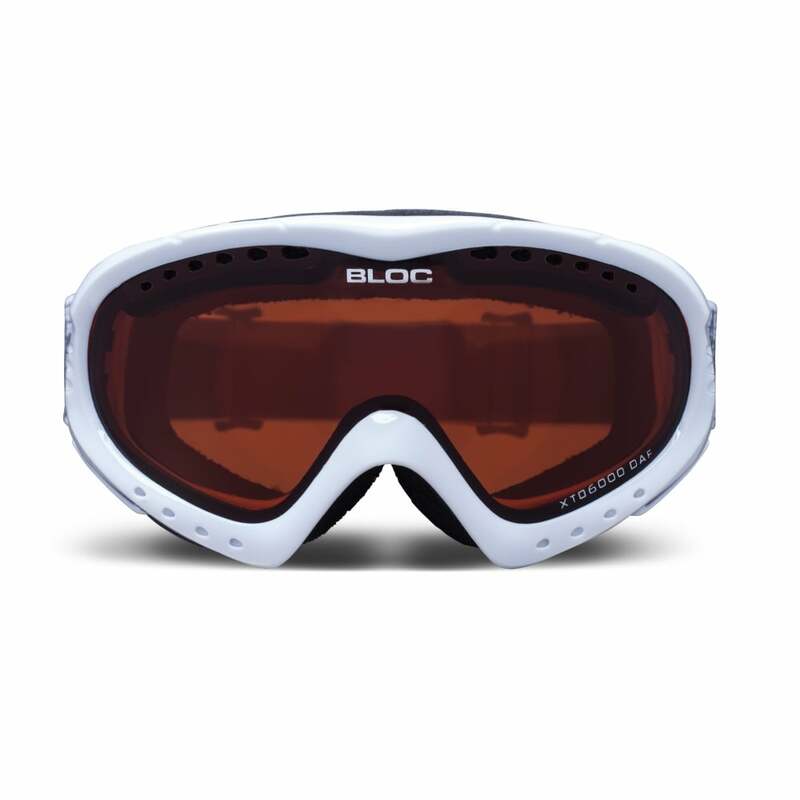 The Utopia Goggle from BLOC is a lightweight and flexible goggle providing superior performance in all temperature and weather conditions, whether skiing or snowboarding. The tough but flexible Polyurethane constructed frame with integrated venting system has a Tri-Fleece, injected Thermo Face Foam for comfort, fit and warmth. The helmet compatible elasticated headband is fully adjustable for the perfect fit. A great unisex goggle optimized for small to medium faces and for older children. CAT 2 - 43-18% light transmission. A high definition lens ideally suited for medium to bright light conditions.